Hotel Husa Pedralbes, Barcelona. Husa Pedralbes Hotel Barcelona. 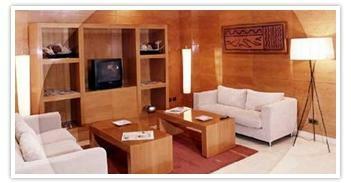 The Hotel Husa Pedralbes is located in the upper area of the Diagonal and it offers 30 rooms. It is situated in the financial district, easily accessible to the rest of the wonderful city of Barcelona, only 14 km from the airport El Prat, 3 km from the train station Sants, the Congress Center and the Montjuic Palace.